Towing services in San Diego range from towing to jumpstarts, lockouts, off road recovery, accident cleanup, tire changes, and many miscelanious jobs. Towing these days is mostly lifting the front of your car with a wheel lift tow truck. 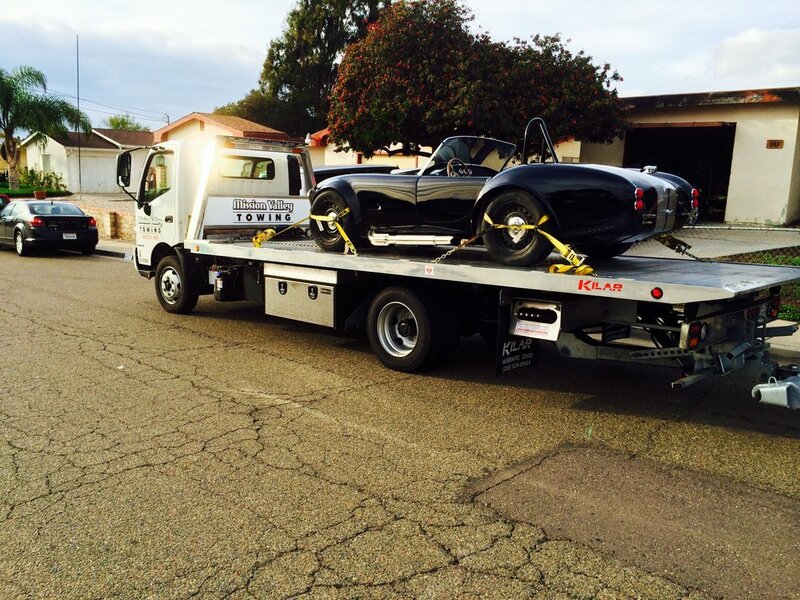 Mission Valley Towing does flatbed towing. Sling trucks are few and far between. 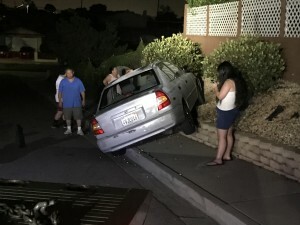 Off road recovery could be a car in your neighbors yard that cannot be retieved without assistance. Fiesta Island is another place people seem to get stuck. Mission Valley Towing has a lot of chains and straps to make up the distance needed to retrieve your car. Jump starts are now usually done with a jump pack. Mission Valley Towing brings two jump packs which are rotated. Mission Valley Towing is also equiped with jumper cables. Lockouts are another towing service that entails unlocking locked cars. Once again the process has changed for many modern cars versus the old cars of the past. Slim jims are rarely used on new cars and the air wedge and long reach tools seem standard. Tire changes are another towing service. This requires the car owner to have a good spare tire. A spare tire that fits their car. Most of the time these tires are low on air and need to be adjusted. Especially if the spare tire is a donut spare. These donut spares must be brought up to 60 psi. The placement of the floor jack varies from one car to another. 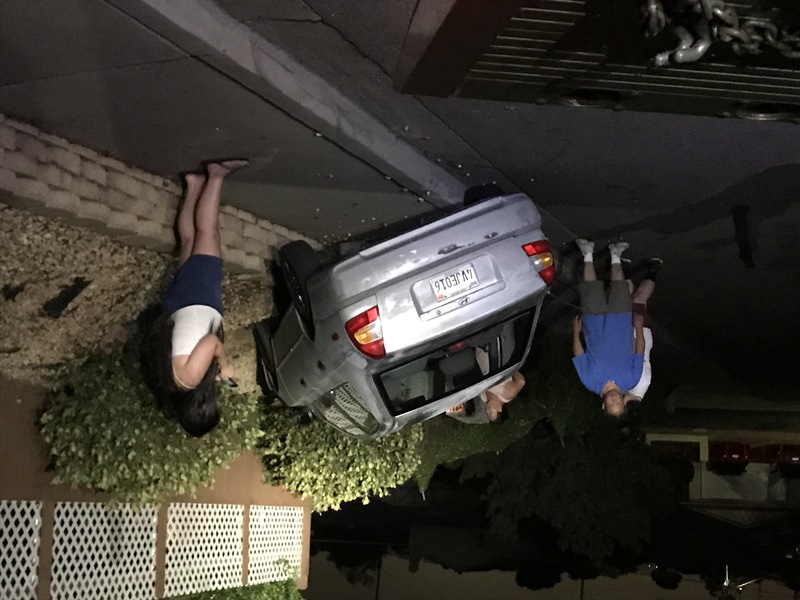 Mission Valley Towing can determine a good place to place your jack for a damage free experience. When a vehicle runs out of gas, It might be best to flatbed your car to a gas station. Many cars now have a more narrow fuel fill that does not fit with most fuel cans. Mission Valley Towing has the appropriate funnel. Many times when people think they have run out of gas, the propblem could be something different. Rather than spend time at the car owner’s expense getting fuel previously, if the car is towed directly to the gas station and it doesn’t start, the car is already hooked up and ready for delivery to your mechanic. When people do run out of gas, it sometimes creates a problem with your fuel filter. Suprisingly somestimes, the car on our flatbed gets shaked around and temporarily fixed. Our towing services use a flatbed tow truck. This flatbed is a custom built rollback on a Hino 195. The result is a flatter load angle that suits most cars much better. This is one of the reasons that many people with broken down exotic cars only want Mission Valley Towing to help. Mission Valley Towing is a 24 hour operation that supplies many towing services that include flatbed towing, lockouts (unlocking cars), jump starts, tire changes, and many other duties.